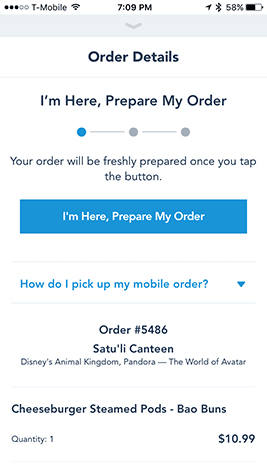 One of my favorite new convenience features available on the My Disney Experience app is mobile ordering. I was able to use this several times on my recent trip and loved it! 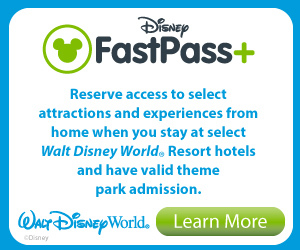 When in the parks, you can access your My Disney Experience account as you would to view or change your fast passes and you can pull up any quick service that offers mobile ordering, most do now. 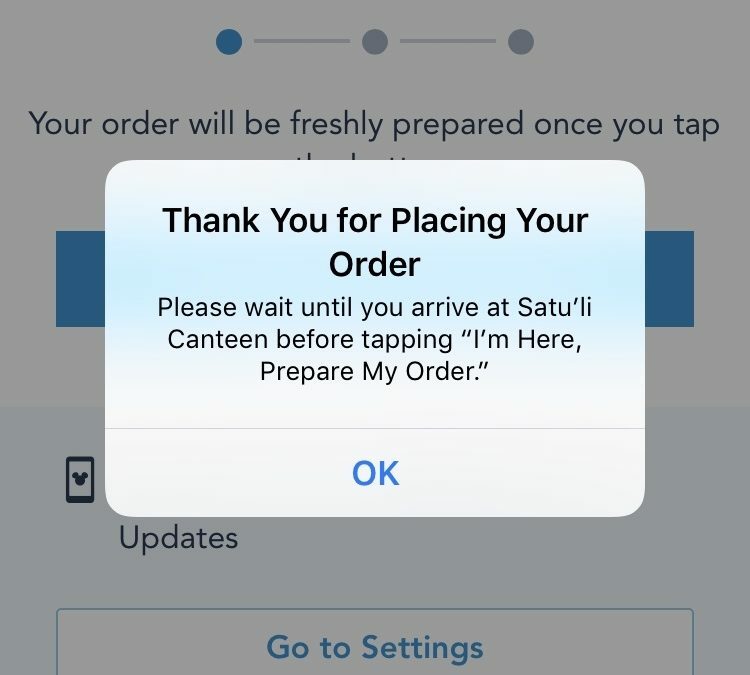 You can order your food as you are heading to a restaurant and when you arrive at the location, simply tap the “I’m here, prepare my order” button. Within minutes, you will receive a response on the app telling you your order is ready for pickup. 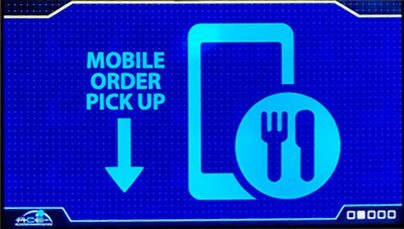 Then you go to the well-marked mobile order pickup counter to retrieve your food. No waiting in lines to order! No waiting at the counter for food! 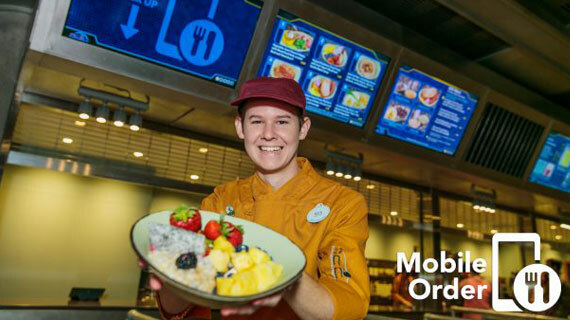 Just this past week, Disney opened up mobile ordering to Disney Dining Plans, it was not available before. So now you can order online and choose the dining plan as payment and your credits will be adjusted accordingly. 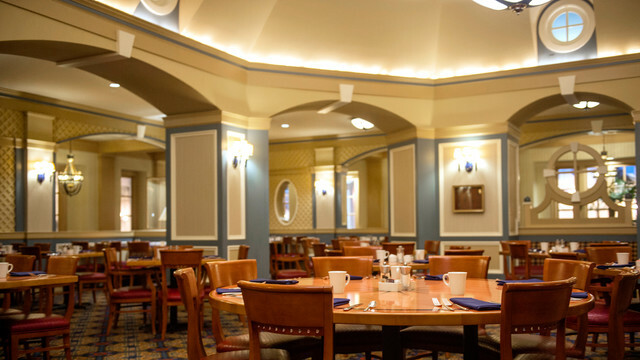 Captain’s Grille is one of the most under-rated restaurants at Disney World in my opinion. Having had breakfast here twice, both excellent, we decided to try it for a “date” dinner one night on our recent trip. We arrived without a reservation on a rainy evening and were seating immediately. Our waitress was wonderful, she took our drink order and went over all the specials and then returned to answer any questions we had and make recommendations on things we were considering. 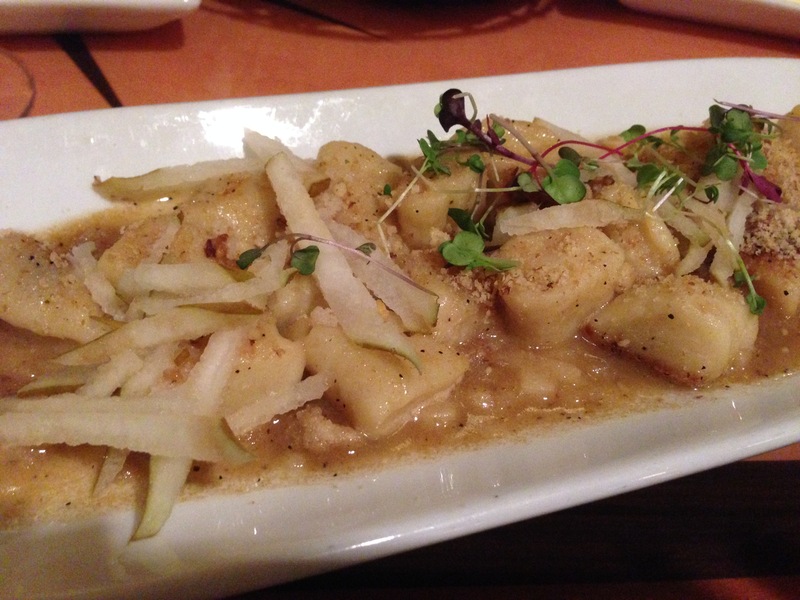 For an appetizer, I had the House-made Potato-Cheese Gnocchi – toasted walnut breadcrumbs, julienne pears and truffle butter $9. It was excellent. I am used to homemade, by my father and mother, gnocchi and they can be difficult to get right. These were perfect. Not too soft, but not hard either. A very nice texture. Hubby had the New England Clam Chowder – creamy chowder with clams, potatoes, and vegetables $8. I didn’t get a picture. He said it was very good though. Hubby chose beer and I chose a lovely glass of Riesling. Next was the entrees. Hubby went for the crab legs as this is something he rarely gets to eat. 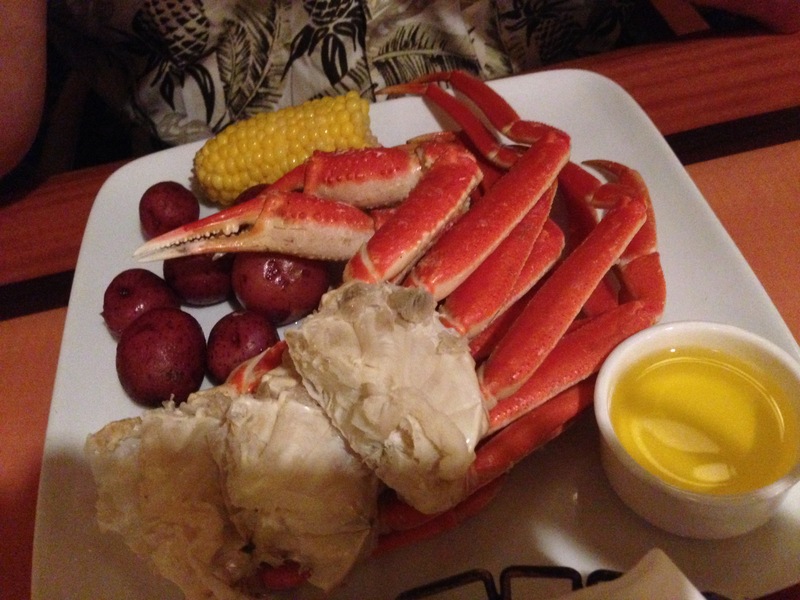 Snow Crab Legs – New Potatoes and Corn on the Cob $31. They are a lot of work, but he enjoyed them. 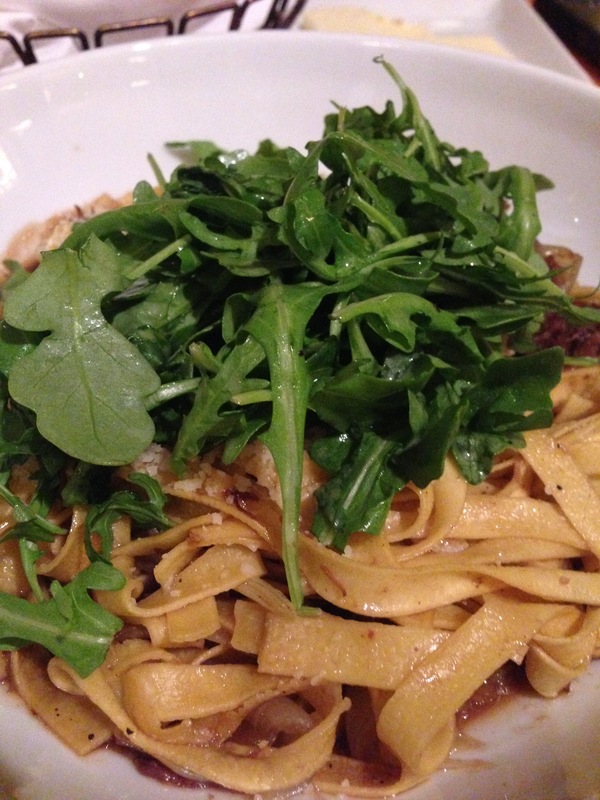 I chose Tagliatelle Pasta – braised short ribs, fennel, cipollini onions, veal jus, shaved parmesan, and seasoned greens $23. The braised short ribs were a menu item on their own as well and came recommended, but after a week of very little pasta when we eat it quite often at home, I was craving a little. The waitress did say they use the same braised ribs in this dish so it was a good choice. This was so good. The ribs were like butter, so soft and the pasta was cooked perfectly al dente. There was a good amount of short ribs in this dish, they are mostly covered by the pasta in the picture. We did not indulge in dessert as we were quite full with all this food, the portions are just right. The atmosphere in this restaurant, located just off Disney’s Yacht Club Resort lobby is upscale , but not overly so. Still casual enough to feel comfortable with kids and there were several tables of families as well as couples and a few small groups when we were there. This was one of my favorite meals at Disney World, ever!